"I got a card from London saying they were fit and well," she replied, "but they said they needed a jar of piccalilli and a torque wrench." The mammoth ignored her, sucked up the entire contents of the ornamental pond in one go and clumsily trampled the garden furniture to matchwood. Happy Independence Day to all my US readers! For everyone else: Happy Thursday! 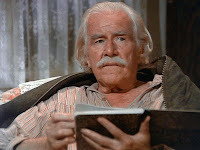 I'm kicking off my series of names from The Waltons with Grandpa, also known (occasionally) as Zeublon, or Zeb. before the next season began filming. I personally favour the shortened version, Zeb, which is what Grandma Walton calls Grandpa on the rare occasion she doesn't call him "Old Fool" or some other cute nickname. The name has never ranked in the top 1000 in the US, which is a bummer. Famous Zebuluns: Zebulun Pike, the guy for whom Pike's Peak is named. Fictional Zebulun/Zebulons: Just Grandpa Walton, so far as I can tell. My Zebuluns: Not so much. Do you know any Zebuluns? Did I miss anyone obvious? I’m not really into politics, public controversies make me itch, and heated disagreements in the comments sections all over the internet make me despair for the future of the human race. And don’t even get me started on most trending topics on Twitter. And yet, for all that, I’ve decided to put my two cents into this little contretemps. You may have noticed that Texas has been in the news a bit this last week, which is of course due to our warm climate, abundant tourist spots, and friendly people. Oh, and maybe because of an abortion bill in the Texas Legislature. 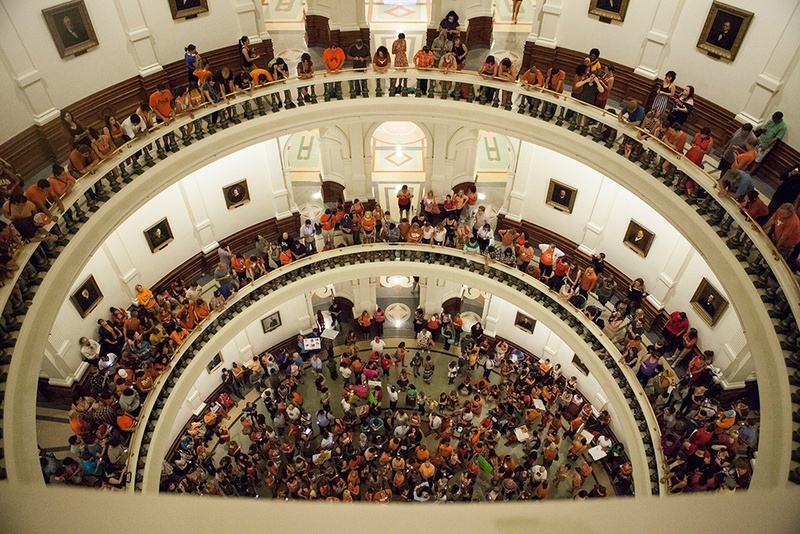 There was a time, for about 30 seconds 10 days ago, when I thought that maybe Texas’ governing body was going to have a sensible discussion about this bill and its realities for Texas. I thought that just maybe some sort of agreement could be reached that perhaps neither side would regard as perfect, but that we could all move forward with. Maybe this time. I imagine this will end the way the party in power in Texas wants it to end—the bill will become law, and we’ll all get to see what happens next. But there are unintended consequences of this debacle debate: Friends becoming not-friends (I can’t be the only one thinking of culling my Facebook list right now), some elected officials becoming superstars, others losing their seats in the next election over this one issue regardless of how much they’ve served their districts otherwise, and who knows what else. How long will those side effects stick around? Seriously, I’m tired of our laws, of our nation, being a zero-sum game. Can we please get our act together? Maybe find a better way? Or at least refrain from showing off how horrible people can be just because they disagree? "Any man who has been a prisoner understands how to contract himself to fit the diameter of the escape." "If you are sure of coming out of the coffin all right, I am sure of getting you out of the grave." 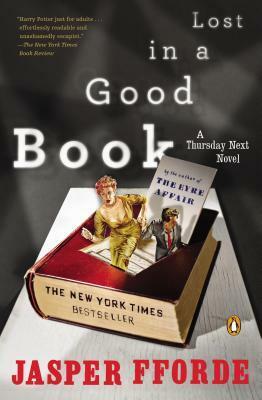 For some reason, I had this on my Goodreads list as Read. I don't know why; I can only presume I was having hallucinations the day when I added it to Goodreads. I've been chipping away at it slowly for the last several years, but it's not done yet. I came back to it this time partly out of an acknowledgement that it is hard to claim to be a huge Les Mis fan and not have read the book. 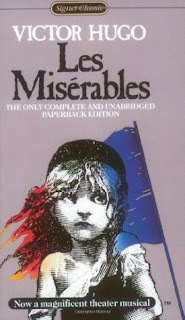 However, being as this is an old, well-known story that has spawned countless adaptations, I'm not at all in the club that says that you can't be a "real" fan of Les Mis unless you've read the book. I've been a "real" fan since I was about 10, I can promise you, and yet I'm still working my way through the book. If you want to be a fan of the movie/musical/soundtrack without ever fighting your way through Hugo's prose, go right ahead!